If the name Salvador Dali conjures images of melting watches and one conspicuous mustache but not much else, then a visit to Spain’s “Dali Triangle” will not only make for a fantastic road trip, it will show that there’s so much more to the renowned surrealist’s work. 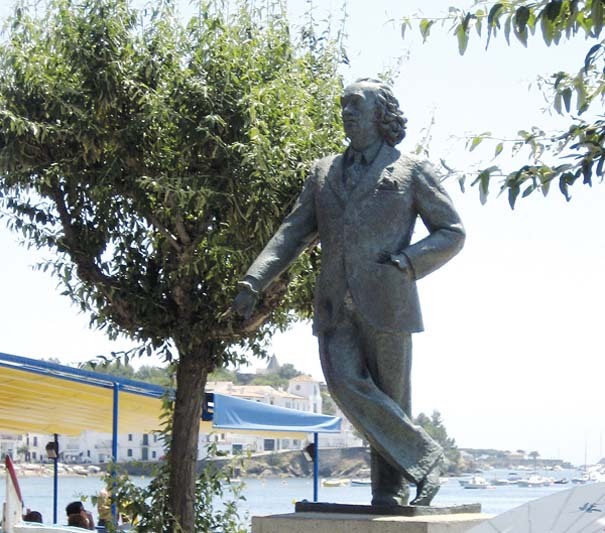 Dali’s homes, converted to museums, are located along the Costa Brava, a nearly 100-mile stretch of rugged coastline in northeastern Catalonia. 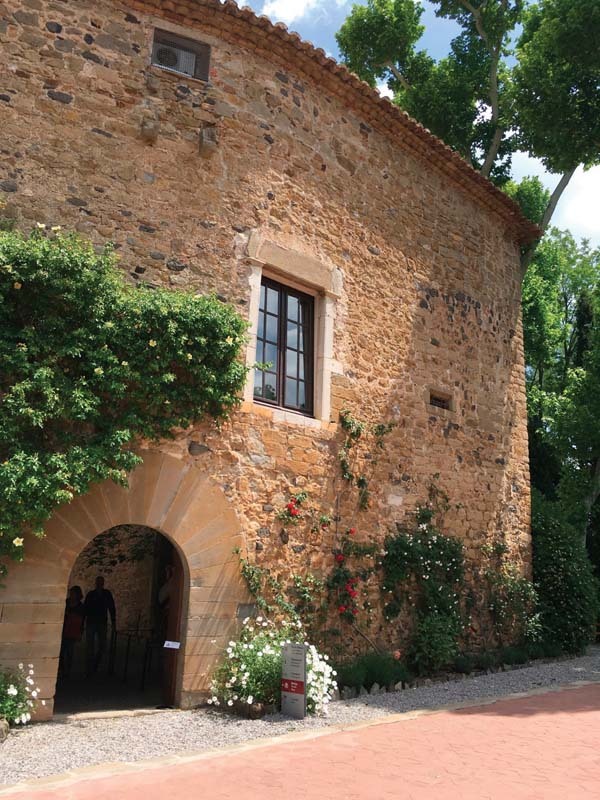 Plan a leisurely drive with stops in Pubol, Figueres and Portlligat –î the three points of the triangle –î to experience the museums, Dali’s art and stunning natural scenery that helped shape and inspire one of the world’s most iconic artists. 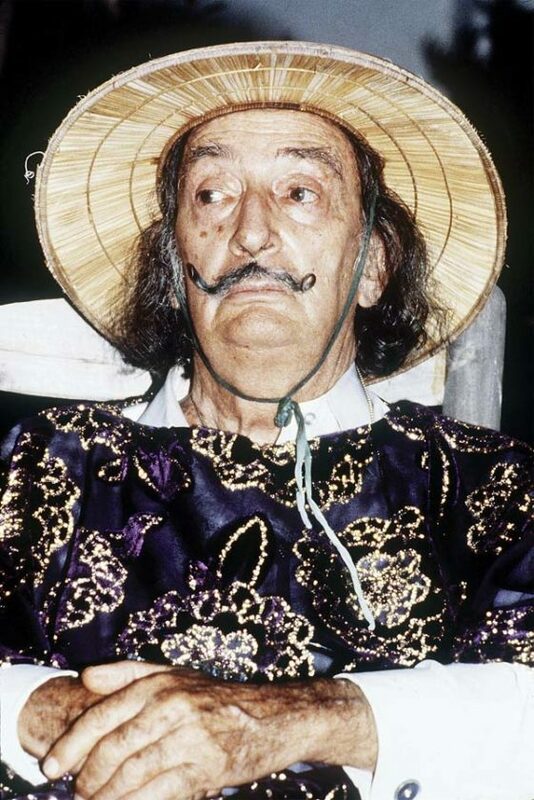 Many works of art –î including paintings Dali gifted his wife –î are on display along with personal items ranging from monogrammed silver flatware, seen in a half-opened kitchen drawer, to Gala’s burnt-orange Datsun car parked outside on a pebble driveway. Then there’s this eccentric artifact: Dali’s beloved white horse, taxidermied, standing near the museum’s restrooms. Figueres, named for its once-abundant fig trees, is a bustling small town about 25 miles north of Pubol. You’ll know you’ve arrived when you spot either a giant transparent geodesic dome or a collection of massive eggs atop a building. That, of course, is the Dali Theatre-Museum, which the artist designed from the burnt remains of the town’s Municipal Theatre. If it weren’t for the steady flow of museum visitors propelling you along the one-way galleries, you could spend hours, days or forever observing and analyzing some 1,500 works of art by Dali –î paintings, drawings, sculptures, engravings, installations, holograms, stereoscopic images and photographs. Some works will make you smile, like the fire engine-red “Mae West Lips Sofa,” a couch-sized sculpture inspired by the actress’ lips. And there’s “Rainy Taxi,” which for the price of one euro, will rain inside itself, soaking its mannequin passengers and the plants and snails along for the proverbial ride. Other works are quietly beautiful, like the early oil portrait of Dali’s sister, Anna Maria, gazing out a window at the sea and cliffs in Cadaques. But some paintings are so violent, macabre, intense and complex that it wouldn’t be a bad idea to hang a little sign saying, “Enter at your own risk.” Dali’s drawings reminded me what a master draftsman he was, and it was good to see several paintings with the familiar watch that was one of Dali’s most famous motifs. 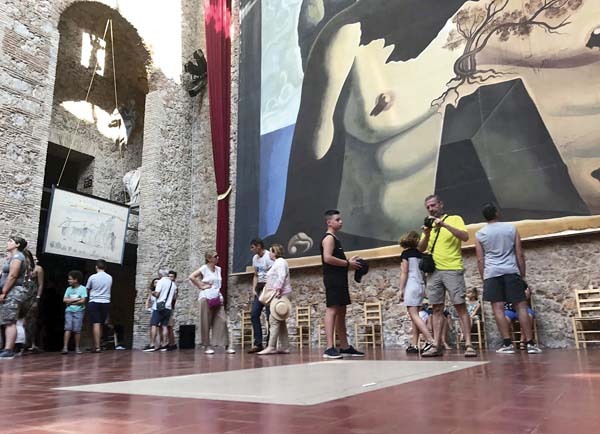 By the time you wend your way through the entire museum, perhaps stopping to pay your respects at Dali’s tomb –î famously exhumed in 2017 to settle a paternity claim (disproven) –î you’ll have seen so much that you may feel slightly overwhelmed. But do not skip the adjacent Dali Jewels museum! Visiting this dimly lit, cave-like gallery space housing 39 jeweled creations is like walking into a pirate’s treasure chest. If I could choose one piece for my personal collection, I’d go with either “Ruby Lips,” in 18-karat gold with over 100 rubies and 13 white pearls for teeth, or “Telephone Ear Clips,” made of gold, diamonds, rubies and emeralds. They are sublime and playful, but not silly. East of Figueres are the hilly neighboring beach towns of Cadaques and Portlligat. Dali vacationed here as a boy with his family and later turned a fishing hut here into a sprawling home. Entering the house, now a museum, you’ll see a taxidermied polar bear. Then, passing through narrow, twisting, turning hallways that mimic roads leading to the house, you emerge into sun-drenched, whitewashed spaces full of surprises: dead-end hallways and a pink-curtained room that echoes –î only if you stand in the right spot. Thick sisal carpets, bundles of dried flowers, more stuffed animals, seashells and starfish, antique furniture and photos of Dali in his heyday fill the interior. The uneven windows make perfect frames for the landscape outside that Dali so often referenced in his work. Shelves stacked with his painting supplies can be seen down a staircase adjacent to the studio. Outside, there is a walled terrace, a swimming pool, flowering garden, olive grove and sculptures and installations. This third point in the “Dali Triangle” is filled with art inside and out. DALI IN SPAIN: For more information, visit www.salvador-dali.org/. Pubol is about 75 miles from Barcelona. Hotels and restaurants abound.